(As a preface to this post, I want to make it clear that I have created a list of all of our Division 1 and PL seasons and sorted them first by league position and then by the points won %. Therefore this series may exclude trophy winning seasons where we did not finish high enough in the League). 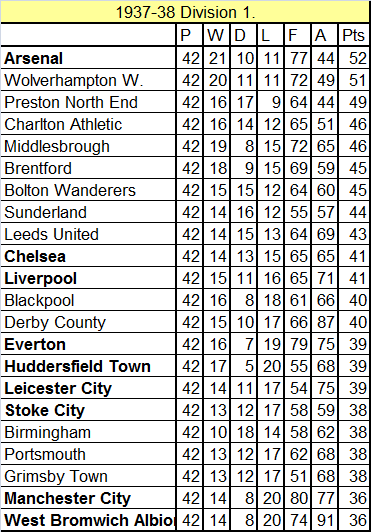 We start with our 13th best ever league season 1937-38. George Allison (1934-37) was our Manager. He was born in Hurworth-on-Tees, County Durham and played amateur football in Stockton-on-Tees while dabbling in writing as a sideline; eventually becoming a full time journalist. During WW1 he worked for the War Office and the Admiralty, producing propaganda, and later joined the Royal Flying Corps (later renamed the Royal Air Force). After the war he moved into broadcasting, joining the BBC and becoming the first person to commentate on the radio on events such as The Derby and the Grand National, as well as the annual England – Scotland international, and the 1927 FA Cup Final. By this time, he had already formed a strong association with Arsenal and became the Club’s programme editor and also a member of the board of directors soon after the end of the WW1; he was our first club secretary and then managing director. 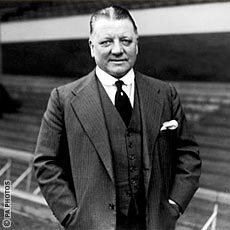 After the sudden death of Herbert Chapman in 1934 he was appointed as his full time successor. The 1934-35 season ended up with us winning our 4th league title. Our fortunes turned in 1935-36 and we finished the league down in 6th position but won our 2nd FA Cup. The 1936-37 season ended up with us finishing 3rd in the league and losing 3-1 to West Bromwich Albion in the 6th round of the FA Cup. 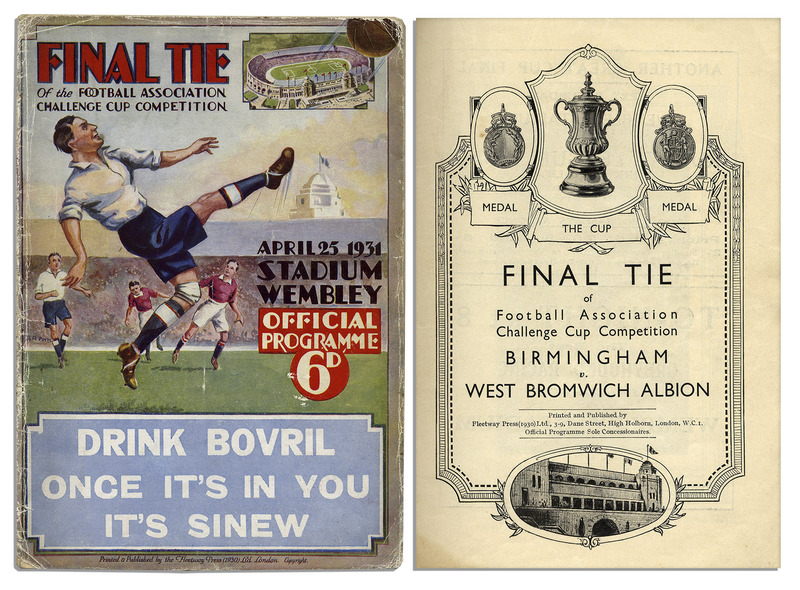 The final round of matches of the 1937/8 season began with Wolves top of the League by a point. 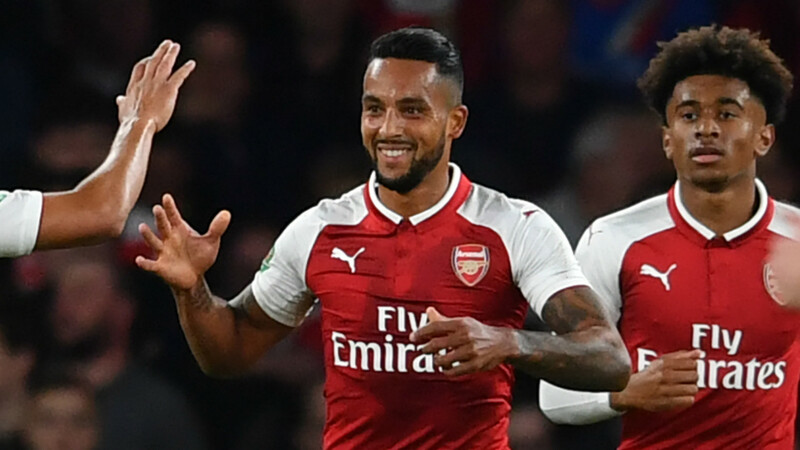 Arsenal had to win or draw and hope Wolves did not match the Gunners’ result to gain the title. 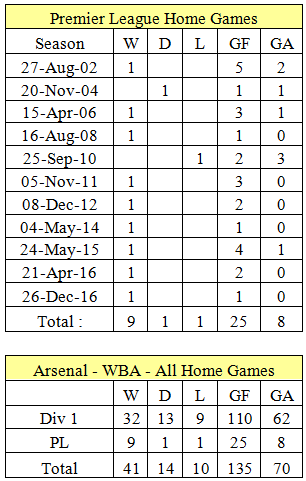 Arsenal was playing against Bolton at Highbury with a 3:30 kick off while Wolves were playing away to Sunderland at Roker Park with a 3:15 start. 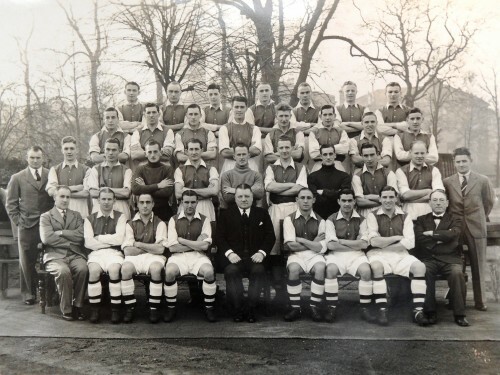 Arsenal were quickly ahead with a goal from Alf Kirchen followed before the end of the half by two goals from Eddie Carr, the second half was a stroll for Arsenal with Cliff Bastin joining in the fun and scoring two more goals. The game ended with wild cheering as the score board showed that Wolves had lost 0-1 leaving Arsenal as League Champions for the 5th time. At the end of the game the crowd surged past the mounted police onto the field and started shouting for the team. They finally left after they had seen the team and had a good sing song, ending with the National Anthem. The players received a proportion of the £275 pot from the Football League to be shared among them – being an amateur, Bernard Joy received a golf bag. There are only nine of the current Premier League (highlighted) in the 1937-38 table with Manchester United and Tottenham nowhere to be seen. Chambers is closer to leaving than I realised. Mertasacker will always be an Arsenal legend. Holding purposely had his confidence massaged in this game. Reiss-Nelson is not as advanced as I had hoped. Elneny should be playing in the first team more. Maitland-Niles is fast, I mean hot damn fast. This was the biggest revelation of the night. Hadn’t noticed this before. Walcott looks like a poodle when he jogs back after an attack. Giroud is surprisingly happy playing his bit part role. Sanchez is the greediest footballer in the EPL. Surprised he played the whole game as he should start on Monday. The Rovers were formed in 1879, 138 years ago and turned professional in 1885, they have spent most of their years bouncing about in the lower leagues of English football and currently play in League 1 after gaining promotion from League 2 in 2016/17. 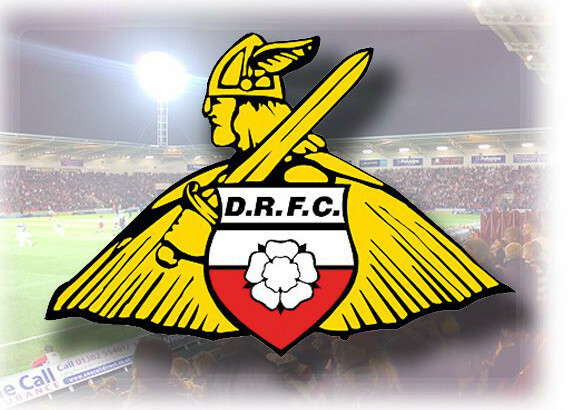 Their ground is the Keepmoat Stadium which has a capacity of 15,231 which interestingly is bigger than Premier League Bournemouth’s which only holds only 11,360. They along with Stockport County hold the record of playing in the longest ever competitive game while playing in Division 3. 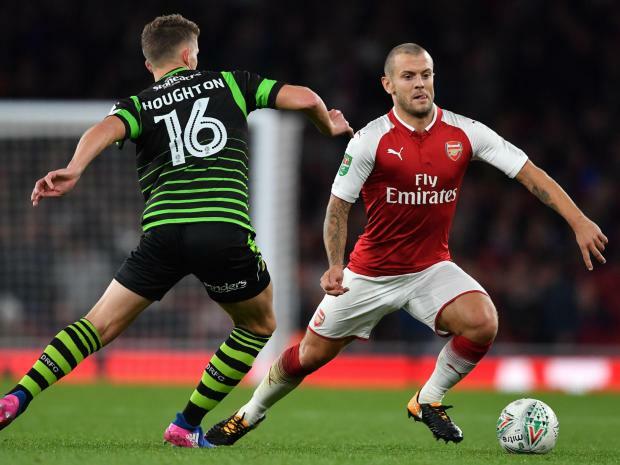 The match was tied after 90 minutes and remained tied after extra time, the rule at the time was that the game would carry on until one team scored but after 203 minutes the game was still tied so the decision was made to stop the game and have a replay which Doncaster went on to win 4-0. They won their first major honour when they beat Bristol Rovers after extra time to win the Football League Trophy. We’ve only played Doncaster 8 times in our history; our first game was on November 30th 1901 when we played in the 2nd division. The last game was on Dec 21, 2005 in the League Cup, the game was tied 1-1 at full time and Doncaster went ahead 2-1 in the 104 minute and it was not until the 121st minute that Gilberto Silva scored the equaliser – we went on to win via penalty kicks. Alumnia, Cygan, Senderos, Eboue, Djourou, Silva, Hleb, Song, Van Persie, Abeyie and Lupoli. 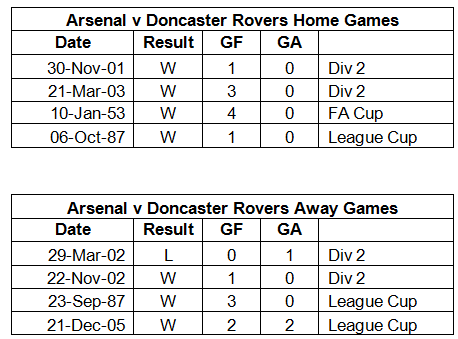 The only time we lost to Doncaster was in 1905, 112 years ago and they have only scored 3 goals against us – so it would take a very brave person to place money on Arsenal losing this game; being a coward I forecast a big win for our kids. Superb performance, balanced side …. and without Ozil? What you are about to read may be considered sacrilege by many. I don’t want to cast any negatives after such a good result yesterday ….. but I’m just going to put something out there. I only saw highlights of the game, but from that and the comments of respected bloggers, I think we all agree that the team performance was excellent with special mention for Monreal, Iwobi, Ramsey and Bellerin … and all that without Mesut Ozil. 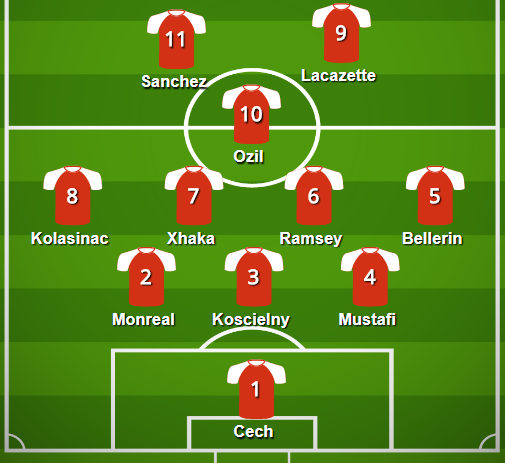 Many of us would make Ozil the first name on the team sheet. His technical ability is on a different level, and contrary to popular opinion he works very hard and covers a lot of ground … but there is a growing belief that he and Ramsey (and Iwobi, his understudy) cannot function effectively in the same side. 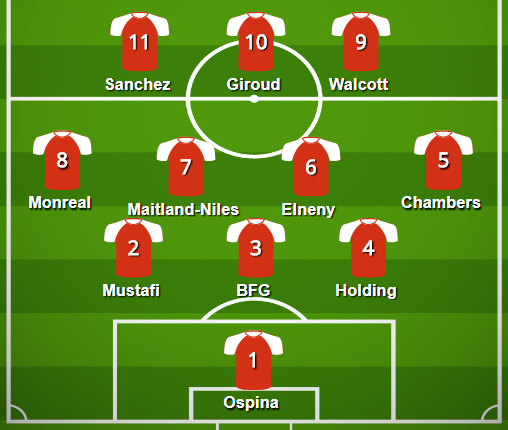 Moreover in playing them both, the team becomes unbalanced and gaps appear in our midfield. I’m a self confessed Ozil fan. I’m also a big fan of the Ramsey we saw in yesterday’s game. He’s a much more potent attacking force when he’s not having to share territory with Ozil. There doesn’t seem to be the same problem when he plays with Iwobi. I don’t know the answer. They’re both great players. Ironically, I think that more clubs would be interested in signing Ramsey than Ozil. Arsene clearly loves having Ozil in the side. 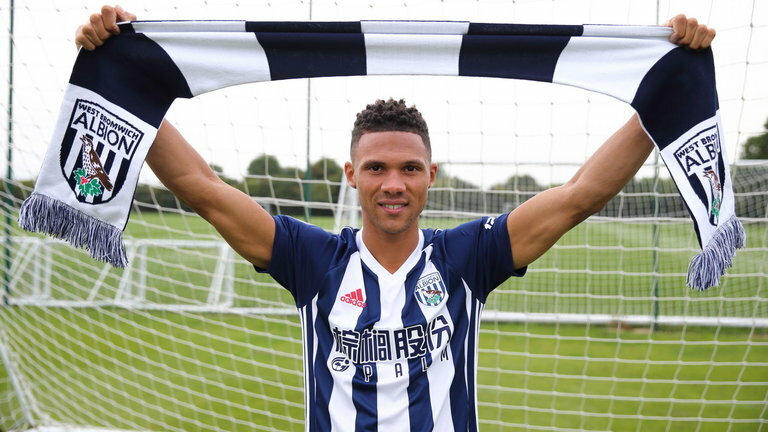 He hasn’t signed a new contract and may leave on a free in the summer …. would that be a huge loss if we can get the best out of Ramsey and Iwobi continues to improve? I don’t want this topic to be hijacked by ‘fans’ who don’t have the perception to appreciate what a brilliant player Ozil is … he’s class … the only question I ask is …. is he always the best man for the balance of the team?